In my last post I discussed how many people view all religions as different paths up the same mountain. If you missed that post you catch up here. If you read it, you might be left wondering what exactly those other religions believe and how it relates to us. As a representative of Christ, it is good to have at least a basic understanding of those other accounts and know how to engage someone who believes in them. So lets get down to it and start with our first world religion: Hinduism. Hinduism is a fascinating and complex religion with growing interest. The respect Hindus have for nature attracts attention in our society that is goring more environmentally conscious. The spirituality of Hinduism also draws people seeking divinity within. The freedom of Hinduism appeals to those who desire to chose beliefs that are fitting for them. For these and many more reasons, Hinduism has been gaining a following in the United States. That being said, Hinduism is hard to define. There is no comprehensive orthodoxy in Hinduism. It is truly a broad sweeping term for varying traditional practices and beliefs that developed out of an ancient fertility religion. The best test for Hindu orthodoxy is the authority given to the Vedas. The Vedas give Hinduism its mythology and are the source of the basic Hindu worldview. As Hinduism developed, however, another collection of writings was appended to the Vedas called the Upanishads. The Upanishads are the last and greatest philosophical development in Hinduism and form Hinduism as we know it in the modern sense. The Upanishads primarily concern themselves with the concept of Brahman. Brahman is the supreme, infinite, impersonal Reality which stands behind everything. It's true identity of everything that exists; Pure Being, Pure Consciousness, Pure Bliss. They also are concerned with the true identity of man. Our true identity is not in external things, but is found in our atman, our "inner self." The dilemma then becomes how the atman relates to Brahman and the Brahman to the atman. The final conclusion of the Upanishads is that the atman and Brahman were truly one in the same. We are Brahman, and Brahman is us. The metaphor goes that the atman is a wave on Brahman's ocean. This realization is the aim of Hinduism. To awaken to the ultimate reality that we are all one; there there is no true thing called "you" and no true thing called "me," but there is only Brahman. Even the gods of Hinduism are not above or outside Brahman, but come from it in the same way that we all do. When we come to this understanding, Hindus assert, then we arrive at salvation. For until that time we are stuck in the wheel of Samsara, that is, the cycle of birth, death, and rebirth. The wave of our atman is, in essence frozen and unable to return back into the depths of Brahman. This is because the wave of our atman is brought into existence through the power of maya, or deception. This deception produces in us advidya, or ignorance, which leads us to believe that we are individuals and separate from one another. As long as we live in this ignorance we are trapped by selfish desire and this produces suffering. The aim of Hinduism is to overcome this ignorance through the practice of different yogas, or spiritual disciplines, to obtain moksha, or the liberation of the atman from the wheel of Samsara so that it may return to Brahman. Perhaps it is easy to see how Christianity stands into contrast from Hinduism. 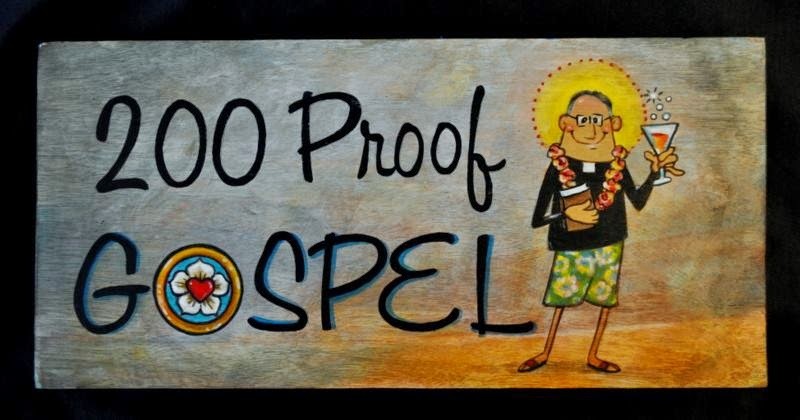 You may be surprised, however, to find out that many Hindus have no qualms with Christianity. In fact, there are many Hindus who even claim that Jesus is god incarnate. What they mean by this is quite different, and in fact serves as the starting point of how Christians can respond to Hindus. Who is God? 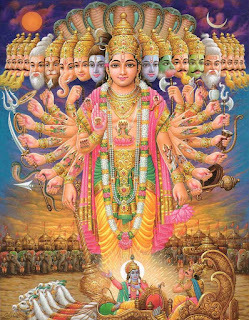 For a Hindu, there are a variety of gods. Many worship several, while some focus on just some. 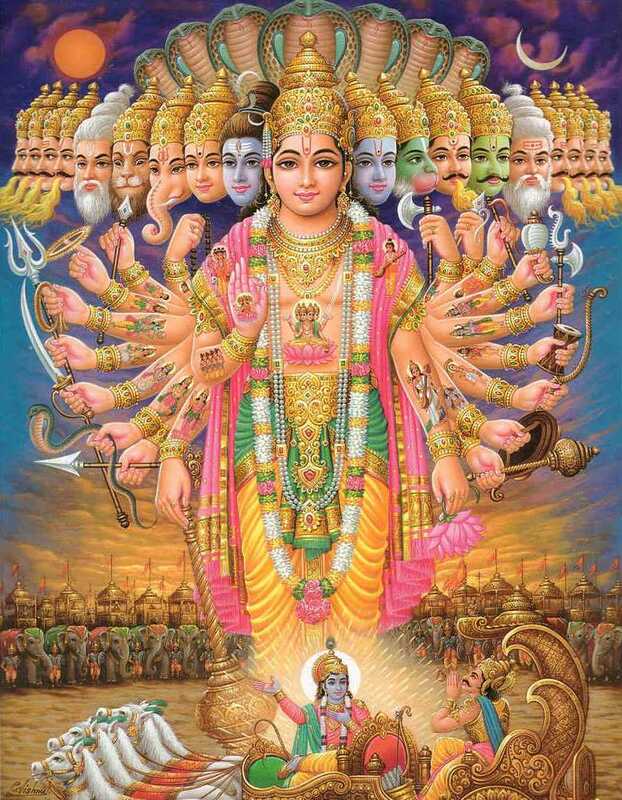 Others have condensed the plethora of gods by saying they are all manifestations of a handful of of supreme gods. Regardless, all Hindu gods are still part of this thing we call "creation." As said earlier, Hindu Gods are not above or outside of Brahman, and are even one with us. This stands in stark contrast to what we call God. For God is not part of creation. There is God, and there is all else. He is entirely other and separate from us. He brought everything there is into existence. Perhaps you can already see the problems of Hindus claiming that Christ is an incarnation of god. When we speak of God, we are not even speaking of the same person(s). However, the trouble gets more sticky when you start to look at what is meant by "incarnation." For a Hindu, there are many incarnations, or avatars, that the gods take. Incarnation here, however, would not be the taking on of human flesh but only the appearance of it. Further, the gods appear in their avatar form to help humans on their path of enlightenment so that their atman can escape this illusion and return to the Brahman. For the Christian, not only is creation real, but it is good. Christ did not come in the flesh to help us escape it, but to establish us in it. If He came to help us escape then would not have needed to come into the flesh at all. That is why the Hindu meaning of incarnation is different, and contradictory, to the Christian. The fact that Christ did actually come into the flesh puts us at odds with Hinduism and deepens our discussions with them. After we establish who God is and that Christ, bring God, came into the flesh, we can move to the "for us" question, as in, "what does this mean for us?" Hinduism answers the "for us" question by saying that all we need to do is overcome this illusion and we will be saved. Once our atman escapes this cycle of birth, death, and rebirth and returns to Brahman we will no longer suffer and be in peace. As Christians, we are not looking forward to Christ coming back to take us out of Creation (If you think the point of Christianity is to die and go to "heaven," I hate to break it to you, but you have been more influenced by Hinduism than the Bible...but that's another post) but to vindicate and restore Creation and to establish us in it forever. Also, salvation for the Christian does not lay in escaping suffering, but is brought about through suffering. Specifically the sufferings of Christ on a cross (which would be impossible for a Hindu avatar to do). Our need as Christians first and foremost to be reconciled through God by the forgives of sins. Once that is established as the center of our theology, only then we can address the problem of suffering and about Christ ending all suffering when He returns. This post is far from comprehensive, but from it I hope you at least gained some knowledge of, and appreciation for, Hinduism and saw how the two are incompatable and aren't different paths to the same "summit." I also hope you gained some talking points for if you ever have a chance to talk to a Hindu about their faith and yours. If you have any questions, I'd love to discuss! Peace be with you. I am also a student of online study because I have a job also and no time to go schools. But I need assignmenthelper.com.au to continue my study so I take admission online and doing my study also with my job. No problem faces and continuing the education also. "We Are All Beggars, This is True"